President Mauricio Macri insisted Argentina is "not headed toward a crisis like those of the past". Among other major statements, he suggested his government was on track to shave 10 points off annual inflation in 2019. President Mauricio Macri has downplayed the severity of Argentina’s current economic instability, describing it as a passing “storm”. 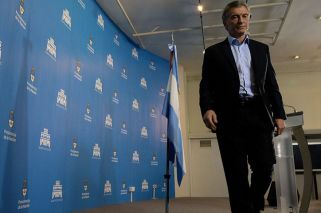 “I recognise the anxiety of many Argentines as we pass through this storm and who feel that we could end up in a crisis similar to those of the past”, he said during a press conference held Wednesday at the Olivos presidential palace. In using the term “storm”, Macri broke with the majority of his Cabinet ministers who have preferred to describe the impact of this year’s sharp devaluation of the peso — combined with inflation which is forecast at 30 percent for 2018 — as “turbulence”. The peso has lost 40 percent of its value since the start of the year, at a cost of US$12 billion in Central Bank reserves. “This storm surprised us just as we were taking off”, Macri added. He recognised that it had “not been as easy to manage inflation as we had first thought but it continues to be our utmost priority”. Among other major statements, Macri suggested his government was on track to shave 10 points off annual inflation in 2019. 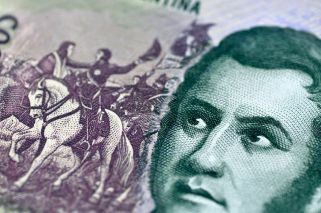 On Tuesday, the INDEC statistics bureau reported June inflation as the highest rate of monthly inflation in two years at 3.7 percent. The President touched on a number of sensitive topics during his press conference, including the ongoing debate surrounding the decriminalisation of abortion and the recent lay-offs at state-run news agency Télam. The bill to legalise elective abortion to the 14th week of pregnancy — which has already passed the Lower House and will be voted on in the Senate on August 8 — has caused a major rift in the Cambiemos (Let’s Change) congressional coalition between social conservatives, particularly from the northern provinces, and liberals, from the cities and southern provinces. “I think that it is important that we value what we’re achieving: something that was taboo, that could not be spoken about. We’re doing what we should”, he said, referring to the debate surrounding abortion. The President is opposed to legalising the practice but has promised he will not veto the law if it passes the Senate. “I wish to reiterate that the debate process must be carried out with respect, listening to other voices and understanding a diversity of opinions and visions. And I hope it ends that way”, he added. On the issue of Télam, the President said that the 357 workers who lost their jobs at the state-run news agency were part of an “overpopulated” organisation. “The authorities at Télam dedecided there was an overpopulation of people”, he said. Macri said he “was the first to regret that an Argentine should lose their job” but said that his government was committed to “modernising the State and ensuring it served” the population.